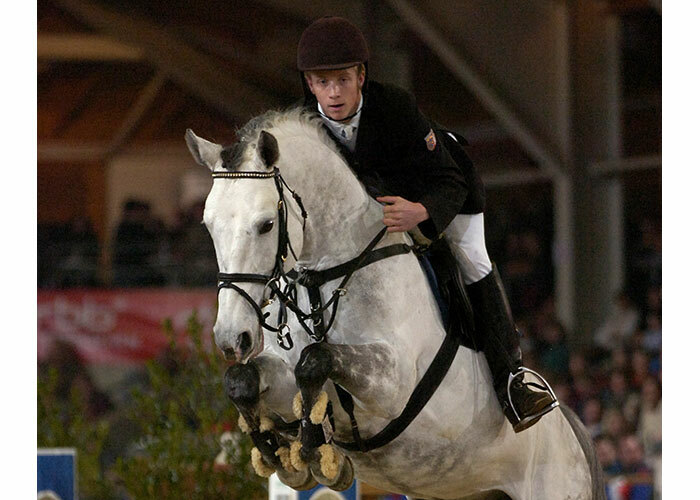 Powerful, scopey and athletic, Tailormade Diarado’s Boy presents himself as an extraordinary young jumping stallion. He proved impressively his great potential in his 70-day-test at Schlieckau in 2012 with the score of 9.08 for jumping ability. In sport and in breeding, the year 2013 was noteable for Diarado´s Boy: He won several tests for young horses and presented outstanding first foals. 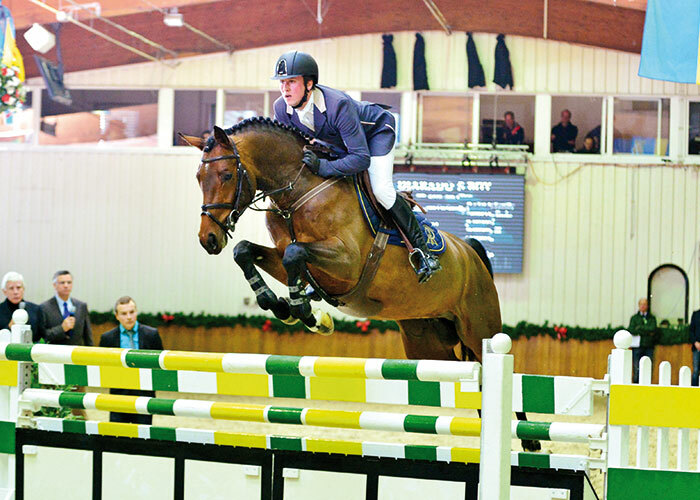 With his impressive presentations, exceptional offspring valuation, convincing performance test and promising success in the sport, Diarado’s Boy was I-a main premium winner of show jumping stallions in a strong field at Vechta. 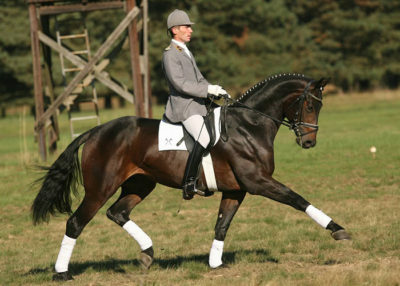 The sire Diarado was the celebrated Holstein Champion Stallion of 2007 and was also winner of his stallion performance test with dream scores. Athletic, modern, intelligent and with a brilliant jumping technique he won many tests for young show jumping horses with top scores and became bronze medallist at the Bundeschampionship for five-year old show jumpers in 2010. Since then he has been placed in advanced (S) level tests. With Argentinus, Landadel and Pilot in the maternal line of ancestors there are three millionaires in competition winnings who all produced championship horses and enjoy the reputation of being international top-class sires. This Westphalian dam line of Fanfare (by Feinschmied-Halt I etc.) 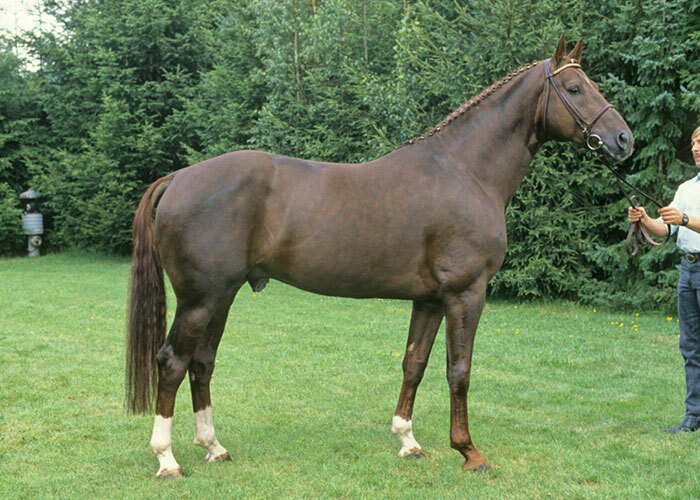 also produced Damon Hill/Helen Langehanenberg, Bundeschampion, World Champion of young horses and Olympic silver medallist as member of the German dressage team, as well as the licensed stallions Biedermeier and Rasciani.